Free desktop dimmer app - Work in the dark with your computer can effect your eyes. You may familiar with dry, red, tired eyes, or sleep patterns due to the blue light that is emitted from the screens. If you feel your monitor / laptop display is too bright, you may need for a desktop dimmer app to reduce the brightness. 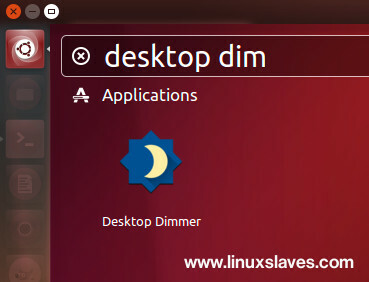 Today I will show you Destop Dimmer, an open source and free screen dimmer application for your computer : Linux, Mac OS X, and Microsoft Windows. This small app developed by sidneys. It lets you to enable darker-than-dark dimming for internal and external screens quickly. Cross-Platform : Linux, Mac OS, Windows. Lean : Small resource footprint, minimal User Interface. Unobstrusive : Settings are persisted and restored per-Display without any configuration. Smart : Heading out? Disconnecting and reconnecting external displays are handled seamlessly. Open Source : GitHub-based workflow, MIT licensed. Step 1 - You can grab the installer packages of the app from its GitHub releases page. It's available for Linux 32bit / 64bit, Mac OS, and Microsoft Windows. 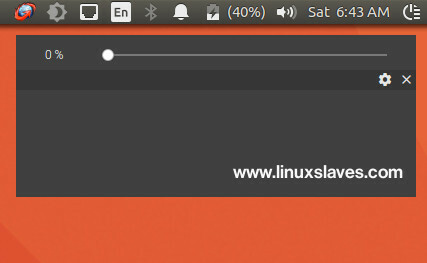 Type your Ubuntu's password, and press Enter to continue. Step 3 - Once installed, you can now open the app via Unity dash, or other Ubuntu's app launcher like Synapse or Albert Spotlight. These were all to how to dim screen in Linux : Ubuntu, Linux Mint, Elementary OS and other derivatives system easily / brightness controller. Hope you've enjoyed reading this post. Thanks for visiting us!